Settled for over 700 years now, Gisborne is a city of New Zealand originally known as Turanga but renamed in 1870 in honour of Colonial Secretary William Gisborne. Gisborne’s Kaiti Beach is where Captain James Cook first landed upon the Endeavour in 1768, and over the next 30 years many traders and missionaries migrated to the region, growing the small colony into a thriving town. 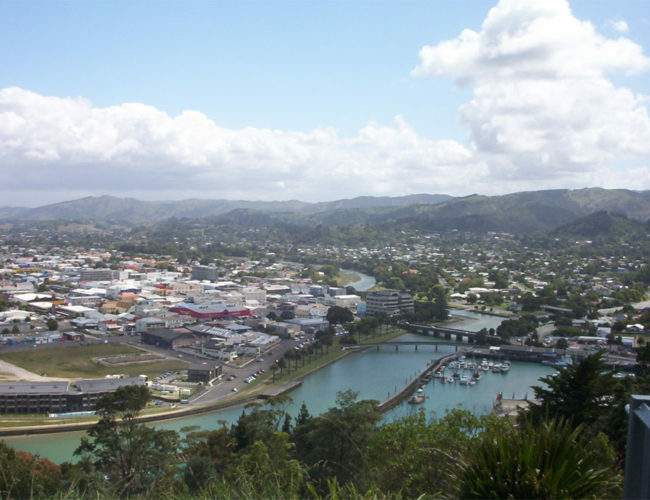 A coastal city, Gisborne is located on the East cape of New Zealand’s North Island, and although flat towards the shoreline, is quite hilly and covered in forest inland. With high, hot sunshine hours and fertile clay loam soils Gisborne district is an ideal environment for winemaking. The region is noted for its Chardonnay, Gewurtztraminer, Viognier, Pinot Gris, Merlot and Malbec wines. Other local industries include agriculture, horticulture, farming, forestry and fishing. Popular past times in Gisborne include swimming and surfing – as the large coast line includes many white sand beaches, like Waikanae, Midway, Kaiti, Sponge Bay, Wainui and Makoroi. The Gisborne community is collectively a warm hearted bunch of people, who in 2015 raised funds to send a shipping container full of donated vital supplies to the devastated area of Vanuatu after Cyclone Pam. Those are just some of the fun and adventurous things to do in Gisborne. Gisborne, being a farming area and not a coastal shipping area, does not use shipping containers but could have shipping container buildings. Refurbished and altered shipping containers could be of great benefit to Gisborne especially with the farming. The containers could also be used for new homes, storage, shops, and even public swimming pools. Self-storage often uses shipping containers as storage sheds. When shipping containers come to the end of their shipping days, they are recycled by sandblasting and painting them inside and out. They can then be altered with floors, walls, insulation, doors, windows, electrical, plumbing, and kitchens. The doors and windows used will depend on what you are going to use the container for. For instance; a home will have different doors and windows than a commercial business will. Self-storage units will have no windows only a door that generally rolls up. You can stack the containers to give you 2 or more levels which have been seen in the motel/hotel industry when they need a quick and cost-effective addition of rooms. Not only will the doors and windows be different but the type of container used will differ depending on your intended use. These container buildings are structurally sound and are low maintenance which is harder to break into than wood structures which make them cost effective. While Gisborne is not a cargo ship port, shipping containers may become more popular in the area in the future. Their goods are transported by rail and truck to ports to be shipped to other places. There are plenty of tourist attractions to bring people into the area as well as the shopping for unique arts and crafts by artisans.